Top posts of 2017 #7: Toronto subway stations have undergone many renovations over the years, but what were they originally supposed to look like? Since its opening in 1954, numerous renovations and adaptations have altered the look of the Yonge line between Eglinton and Union as well as the stations on the lower portion of the University Line. 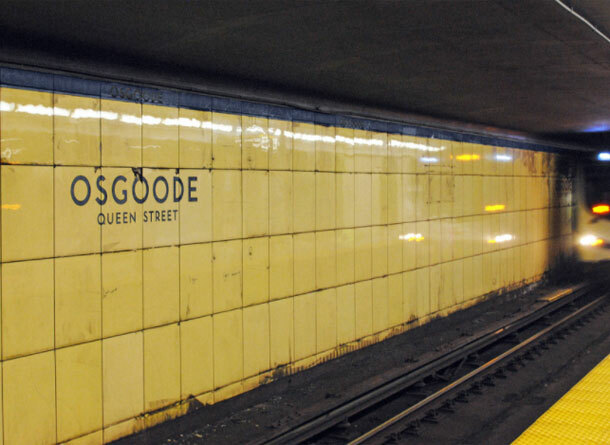 Gone is the uniform TTC font and original Vitriolite tiles – the reflective glass wall panels the system shared with the Woolworth Building in New York – and in their place is a mish-mash of typefaces and tiling jobs that give the system a strangely disconnected look.